Hashimoto’s is very much an individual condition. While there are root cause commonalities, each person will have their own or in some cases, more than one. 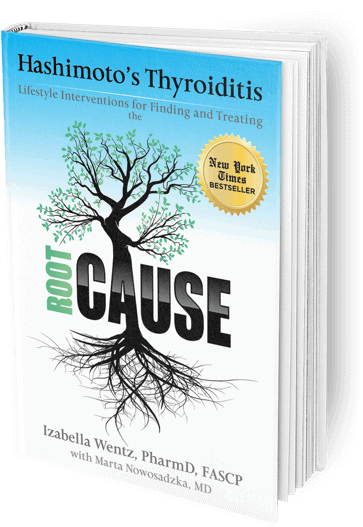 To find your own Hashimoto’s Root Cause, you have to DIG AT IT. You start with the simplest modifications, by removing triggers, followed by repairing the other broken systems to restore equilibrium, allowing the body to rebuild itself. You will dig down to why the immune system is imbalanced in the first place and this will tell you how you begin to finally feel better, reduce your thyroid antibodies and even take your condition into remission. For a limited time, we are offering a special 20% discount off the price of the book as a special thanks for signing up for our list! This offer is good for both the paperback (from our distributor only) and the searchable PDF version. Use coupon code EA3HMPDC at checkout to get 20% off!